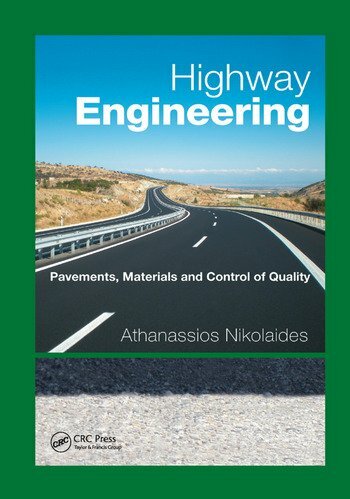 Dr. Athanassios Nikolaides is a professor at the Aristotle University of Thessaloniki, Greece, and director of the Highway Engineering Laboratory in the Department of Civil Engineering. He has published more than 90 papers in journals and conference proceedings, presented more than 40 additional papers at various seminars, and published three books in Greek. He is a member of the editorial advisory panel of the ICE (UK) Journal of Construction Materials, and the founder and president of the International Conference on Bituminous Mixtures and Pavements and has served as a consultant to several organizations and corporations in Greece, Europe, and Indonesia. "… a complete book covering all aspects of road pavements –from constituent materials, to design and maintenance; management to recycling. … a valuable resource for civil engineering students as well as researchers and practitioners working in asphalt and pavement engineering. As a bonus, readers will also find in-depth explanations of major standards from the USA, UK, EUROPE and Australia on material characterization, design, and management." "The author has crafted this book to serve as a "one-stop centre" for any information related to highway engineering. It begins with raw materials for asphalt, mix design, asphalt production, construction and maintenance. This book tells all and is beneficial to academics and practising engineers as well." "This is a great book. It combines state-of-the art scientific knowledge with practical easy-to-use guidelines for highway engineers." "The author has developed a very good work. He has compared the main standards, as ASTM, AASHTO, European Standards. This book presents the state of the art of pavements and I really recommend its use to the graduate and post-graduate course." "The book provides a golden thread linking the complete highway engineering story from material origin and properties ultimately to pavement management and recycling and everything in between – a total picture for the dedicated student."